where w denotes the angular frequency. indicate different modes generated from the same location (Fig. 3). through the energy accumulation patterns (Fig. 3). energy distribution for different azimuths and frequencies (Fig. 3). 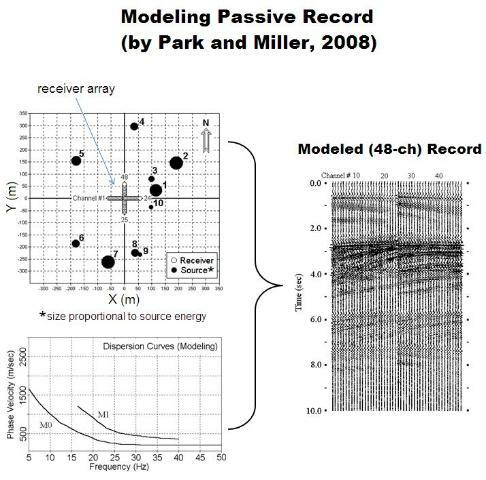 incorporated in the modeling to generate the 10-sec long field record. 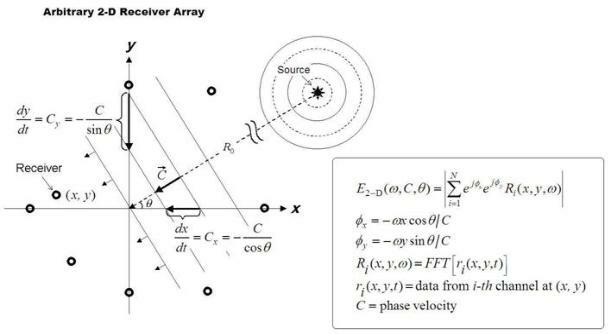 with a phase velocity of C.
image and azimuth energy spaces.